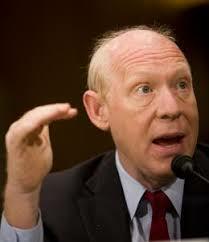 Democratic Houston Mayor Bill White trudges on in the Texas Governor race…..
You know…. the guy who shoots coyote’s on his fun runs…..
A lot of people in the state must know about him…or don’t really like Perry that much…..
That’s because the two have recently polled only 4% points apart (Perry ahead )…. “We need a governor more interested in the state’s future than his political future,” Mr. White said to about 100 curious oil company lawyers and executives at the Petroleum Club. But after the stump speech, a local lawyer, Mike Cunningham, piped up with the question on everyone’s mind. How was Mr. White going to beat a well-known and well-financed Republican incumbent like Mr. Perry in a state where a Democrat has not won in 20 years? By all accounts, Mr. White, who is 55, has his work cut out for him. He has been campaigning hard in far-flung parts of the state like Midland, where Republicans and oil prices dominate affairs, trying to make his name better known and to define himself as a pro-business, fiscal conservative palatable to Republicans and independents. The match-up between Mr. Perry and Mr. White this fall promises not only to test the depth of the conservative backlash against President Obama, but also to shed light on just how Republican the state has become and whether the slim signs of a Democratic resurgence in the 2008 election were chimerical. Conventional wisdom holds that this is a bad year to run as a Democrat in a state like Texas. Since the mid-1990s, Republican candidates have started off with a 10-point advantage just for being Republican. What’s more, most political scientists and strategists say the pendulum is swinging back against the Democrats after Mr. Obama’s victory in 2008. The backlash among staunch conservatives, who are angry about the bailout of banks and deficit spending to create jobs, has given rightwing politicians like Mr. Perry a wind at their backs. Indeed, Mr. Perry has actively courted disaffected voters angry with Washington, appearing with Sarah Palin and Glenn Beck and building Mr. Perry’s national profile. Yet Democrats are more hopeful this year than in any year since George W. Bush swept into the governor’s office in 1994 and began an era of Republican dominance in statewide politics. Texas Governor race ……Lawyers fee's……. The piece here questions the issue…pointing out that the fee’s are normal business practice in Texas law cases as it is all around the country…. You win..the lawyer gets a percent or a fixed amount…you lose..he/she don’t get paid……simple…. This is a charge that the Perry campaign, through spokesman Mark Miner, has leveled at White. It seemed dubious to me, because contingency fees have been used by plaintiffs’ lawyers since long before Bill White was practicing law. Contingency fees are used in personal injury cases when a client cannot afford to hire an attorney. The arrangement usually calls for a stipulated division of the award in a case between the lawyer and the client. If the plaintiff loses, the client pays nothing and the lawyer gets nothing. Texas Governor race ……Lawyers fee’s……. CD…… on Gov. Perry of Texas having a bit of tough time this time around…. 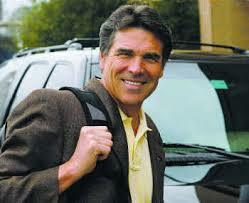 CD is backing his man Texas Governor Perry…. The thing that got me is the undecideds…only 6% at this tim…remarkable! This race is going to be a lot closer than mist people thought….. The previous poll showed Perry ahead 49-43. This one shows him ahead 48-44. The difference has no significance at this stage of the race. Perry is still under 50%, but very close. Remember, Perry didn’t break 50% in the primary until election day. The most interesting thing about the poll is the small number of undecided voters — just 6%. This is not a good situation for a challenger. You don’t want to be in a race where most voters have already made up their minds. I was also struck by the figure that Perry has a modest lead (5%) among independent voters. As I have pointed out before, based on the findings of the UT/Texas Tribune poll, independent voters tend to be disgruntled Republicans who, when they get in the voting booth, break 4 to 3 in favor of Republicans. These polls are worth little more than entertainment value at this stage of the race. The good news for White is that there really isn’t any bad news. Two-thirds of Texans want to see the health care bill repealed, according to Rasmussen, but it hasn’t affected his numbers. The Race for Texas Governor goes back and forth…..
Here’s CD’s posting on Bill White not wanting to release his tax returns…..
It’s not a good sign when the former Houston mayor refuses to release his tax returns on his business transactions and even Houston Mayor Annise Parker (D) slams the way White spend money during his 6 years in office. When Texas Governor Rick Perry scored a convincing win earlier this month over U.S. Senator Kay Bailey Hutchison, his rival for the Republican gubernatorial nomination, talk of a possible 2012 Perry presidential push began. 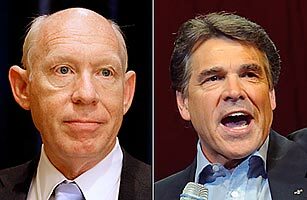 But before Perry can stride into the national arena, he must win re-election this fall in what some say will be his toughest face-off with a Democrat yet — against former Houston mayor Bill White. Indeed, political analyst Charlie Cook has moved the Texas governor’s race from “leaning Republican” to “toss-up” status. 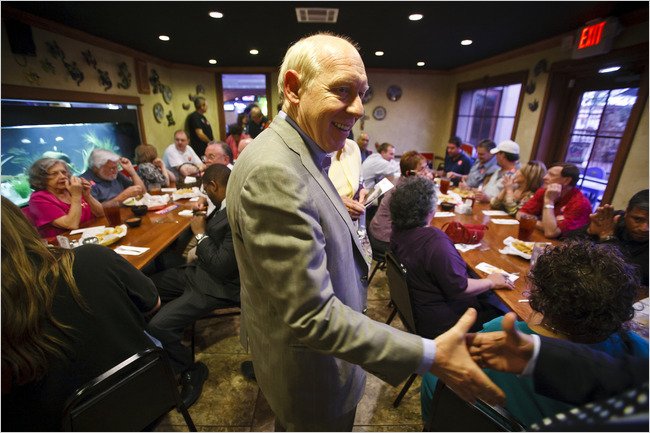 White supporters point to his strong base in Houston (the state’s largest city), his family roots in San Antonio and his ability to speak fluent Spanish, which is seen as a draw in the bluest part of the state, South Texas. 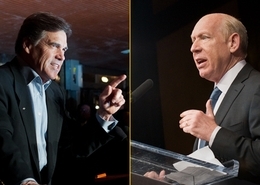 The most recent poll by Rasmussen showed Perry with a 49%-to-43% lead over White. The popular ex-mayor, who served in the Clinton Administration as Deputy Secretary of Energy, may still be considered an underdog, according to Richard Murray, political scientist at the University of Houston, but he has “a real chance of winning.” Murray expects White to have adequate campaign funding because of his connections with deep-pocket donors, support from the Democratic Governors’ Association and, perhaps, his own personal resources — he gave his first mayoral campaign a $2 million kick-start. (White, a lawyer, worked for an oil company and then ran a Houston energy investment group after leaving the White House.) Plus, White is a disciplined campaigner who will run a focused campaign, Murray says. While CD here has given the impression that Texas Governor Perry can walk on the water…. I was on Politcs1 right after the primary and mentioned that Perry seemed to be a lock….well the Dog was wrong….. I asked primary night about the Scoot Brown effect and the push back against imcubants…well the poll numbers prove my basic instincts where correct…. One must remember Perry was the Governor that wanted to succeed from the union and didn’t want any stimulus money…but relented…..
Again…Both Perry and White haven’t lost an election yet…. Maybe Cook has seen the RAS Poll before. This Race could be tight in November.